Defective products are a leading cause of liability loss. Increasing supply chain complexity and heightened regulatory oversight are only making the recall threat worse. 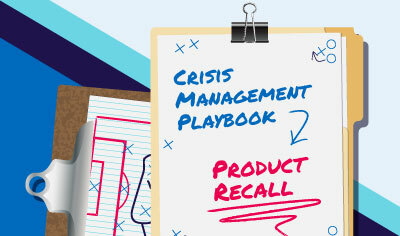 Protecting your business requires developing, implementing, and testing a cross-functional, multi-staged product recalls plan to keep customers safe and reduce risk. Not sure how to get started? Or looking to take your current planning efforts to the next level? We’re here to help. Based on best practices in the field, our step-by-step, how-to guide gives you a detailed template to develop your product recall plan.